There are a lot of tough racers to keep an eye on in this season’s NHRA Mickey Thompson Top Fuel Harley field. One unsung pilot who should be on everyone’s radar is second-year racer Beau Layne, 43, of Redding, Calif. In his very first full season aboard a nitro bike, what is usually a steep learning curve, Layne finished No. 6 in the hotly contested NHRA point series, just one point outside of the top five. 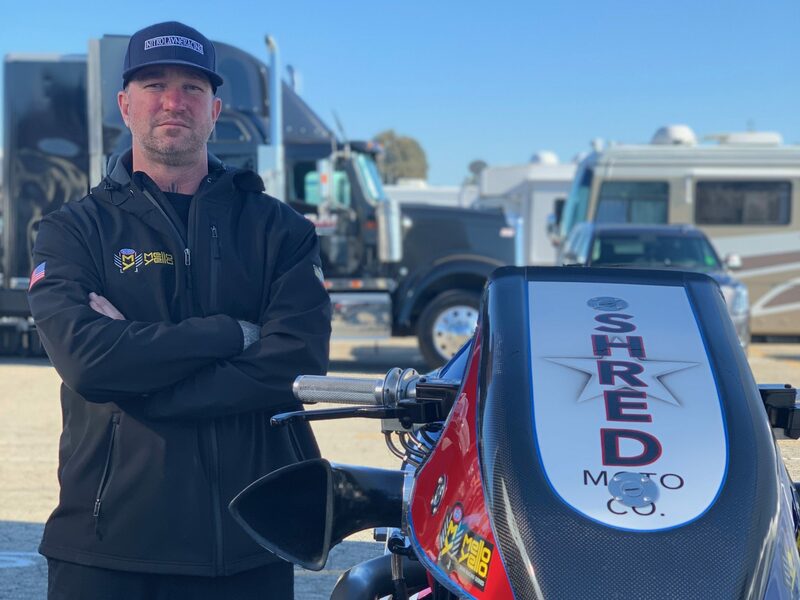 Layne’s momentum has continued into 2019 after recording a career best 6.38 in pre-season testing at Wild Horse Pass Motorsports Park near Phoenix, Ariz.
Layne credits much of his success to crew chief, nitro veteran Jack Romine. Layne says the two were paired up by Jack’s brother, fellow Nitro Harley legend and current crew chief for Doug Vancil, Mike Romine, when Layne was picking up a chassis from him. Layne is hoping to run the entire season and is working hard to find a sponsor to help make that happen. Layne knows it will take a lot of effort and financial resources to compete for a title. Layne’s first test comes at the season-opening Winternationals in Pomona, Calif, Feb 7-10.